Home → People → Jack Z. Stettner → Veterans Air Jack Stettner died at 93. 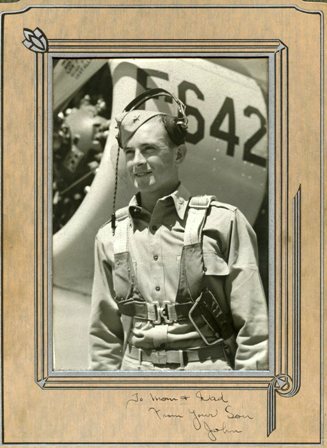 Co-founder, pilot, ops-manager in 1945. 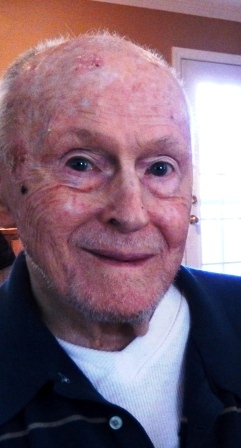 Veterans Air Jack Stettner died on November 28th. 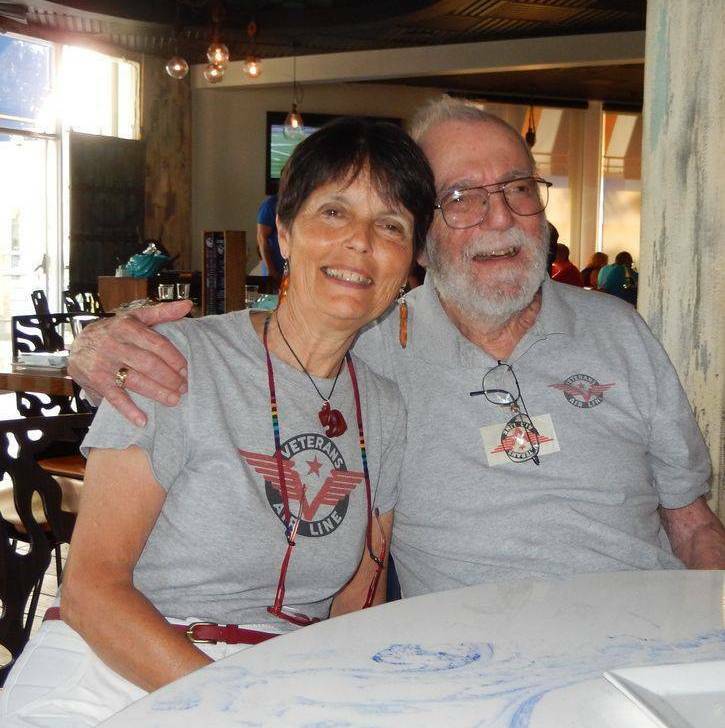 Jack Stettner and Gaye Lyn in 2015 both sporting their Veterans Air Line apparel. 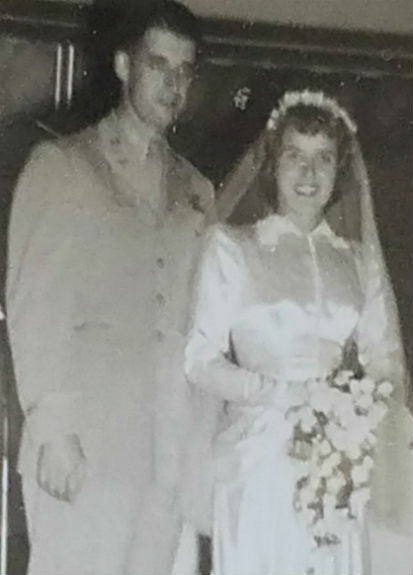 The best I can do now is to tell you that Jack Stettner was my Veterans Air “first love.” He was the first I “located” of the men who joined my Dad in founding the air line in 1945. He played many roles back then as co-founder, investor, domestic DC-3 and international DC-4 pilot, and Operations Manager. Jack was there at the beginning and stayed through til the end. We first spoke over the phone July 15, 2015. I remember it so well. I scribbled practically illegible, copious notes. I listened, laughed and talked — all the while shaking my head in disbelief. That very same day I spoke with Ellen, Al and Scott – his “kids.” Afterwards, I paced around my house, head in the clouds, jumping up and down, not even trying to contain my excitement and joy! I kept looking at him thinking…he knew my Dad! Did he also fly the GAYE LYN? 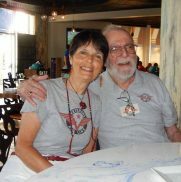 Jack and Gaye sharing memories of his 1945 adventures with Veterans Air Express. Our in-person meeting? It was a jubilant event! At his condo in Florida on Friday Aug 7, 2015. 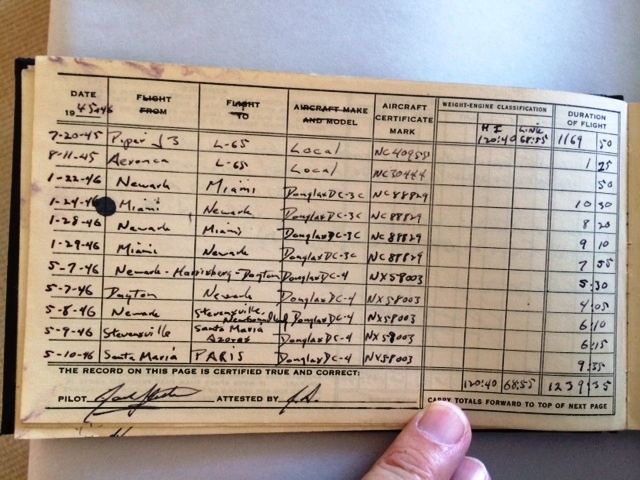 Jack Stettner’s log book. Two round-trip DC-3 flights, Newark-Miami between 1-22 and 1-29 in 1946. I just kept looking at him thinking he knew my Dad. The connection had finally, really begun to hit me. My research project came alive that day! We ate ice cream at Ben & Jerry’s. We went to breakfast and dinner with his family. He read passages to me from his three published memoirs about WWII and his time with Veterans. But just sitting with Jack and talking was miraculous! I want to let you know how much joy you gave to Dad. You brought back to him such a major part of his life. 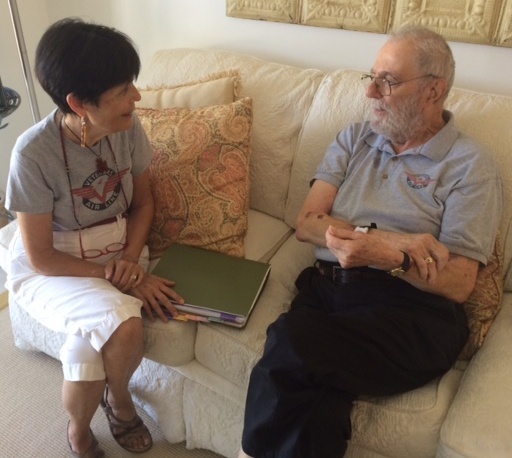 He loved the time he spent with you and seeing Veterans come alive again. 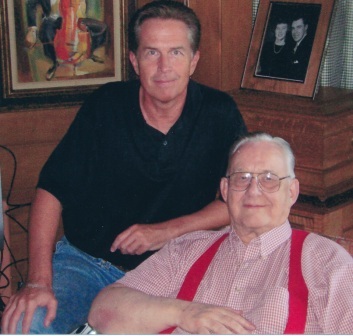 I will forever cherish and feel cherished by this note from Al Stettner, Jack’s eldest son. And you cannot know how it touches me that, at their moment of concern for their Dad and dealing with the certainty that they were about to lose him, the family thought to let me know in advance. Jack was 93. Born May 27, 1923. He left us November 28, 2016. Jack proudly holds a framed copy of the Veterans Air Line logo. Today, as I write, my profound sadness and tears are allayed by my pride in having met him, hugged him, shared stories. 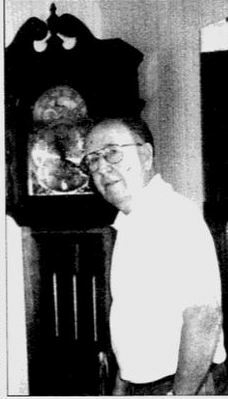 This man of adventure helped my Dad found the airline in 1945. 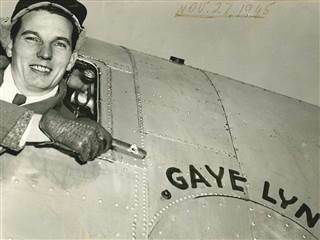 I choose to believe he did fly the DC-3 named after me. And 70 years later welcomed me with open arms. So did his wonderful family. It was my deep honor, dear Jack! God speed! It was so nice to meet you and Harry today and hear your story about the Veterans Air Line & Veterans Air Express. 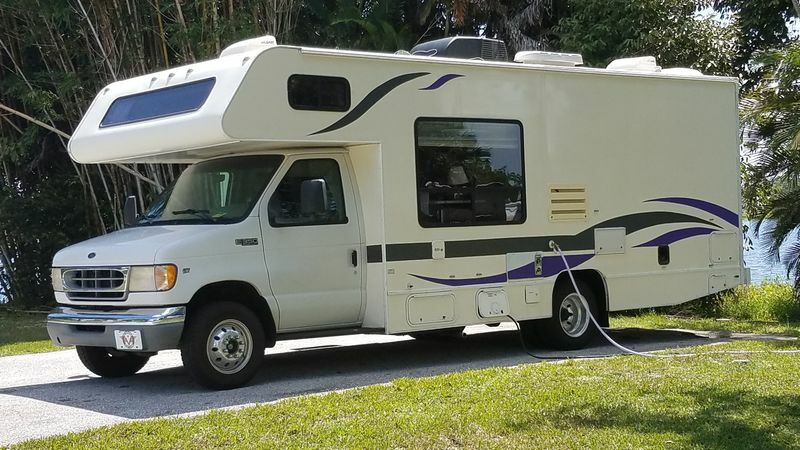 Best wishes on your journey to meet other people that were involved with your Dad’s Air Line and how exciting it will be for you to connect all the stories, hopefully someday you will share your story with all of us and the “Gaye Lyn” will fly again across the Big Screen! Happy Trails to you and Harry!